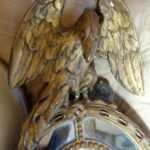 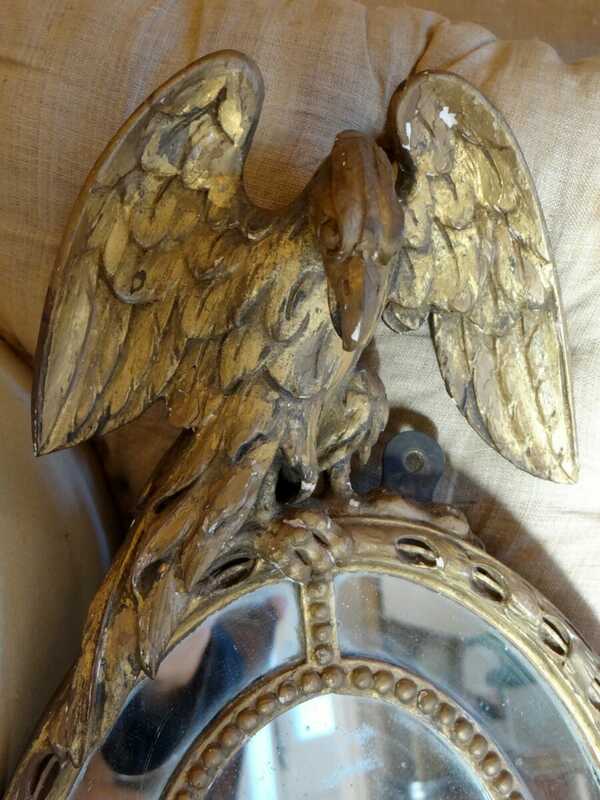 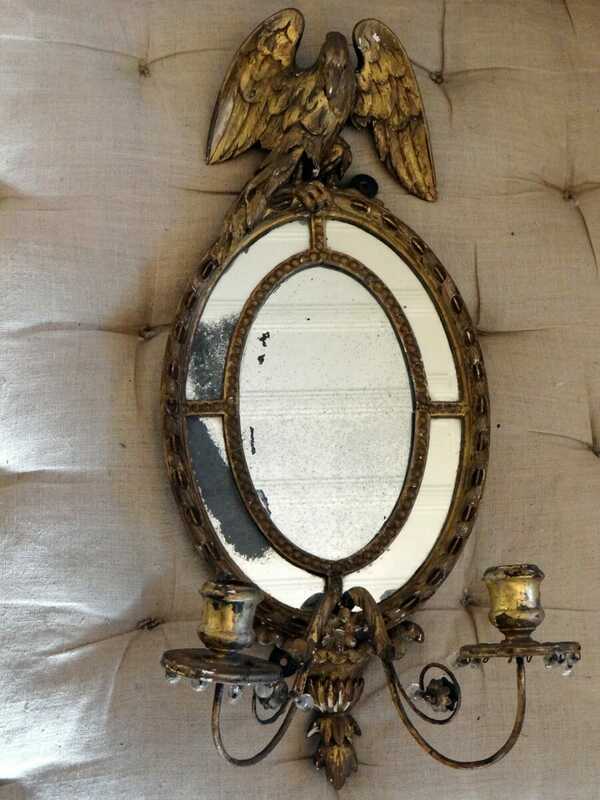 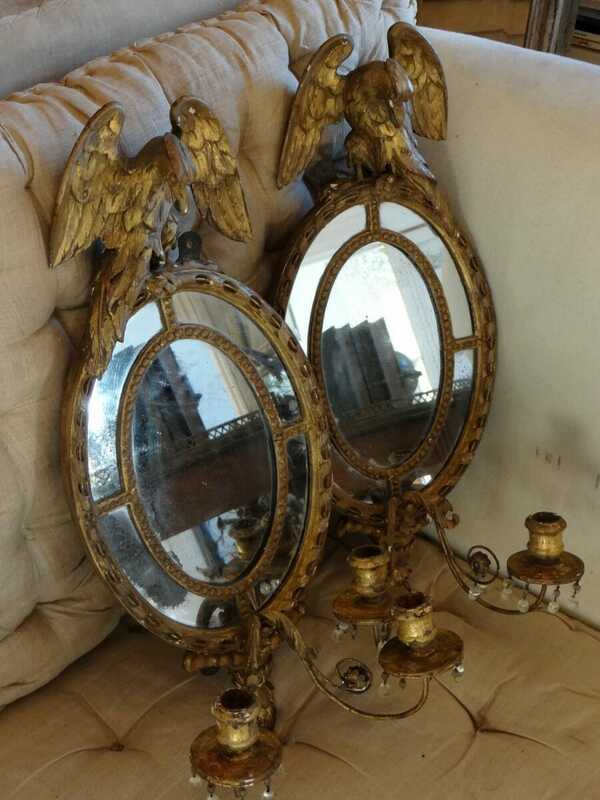 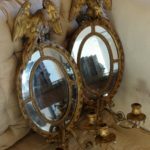 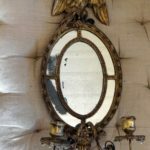 Pair of chic Italian giltwood mirrored girandoles c.1800 with the tops decorated with a carved displayed eagle. 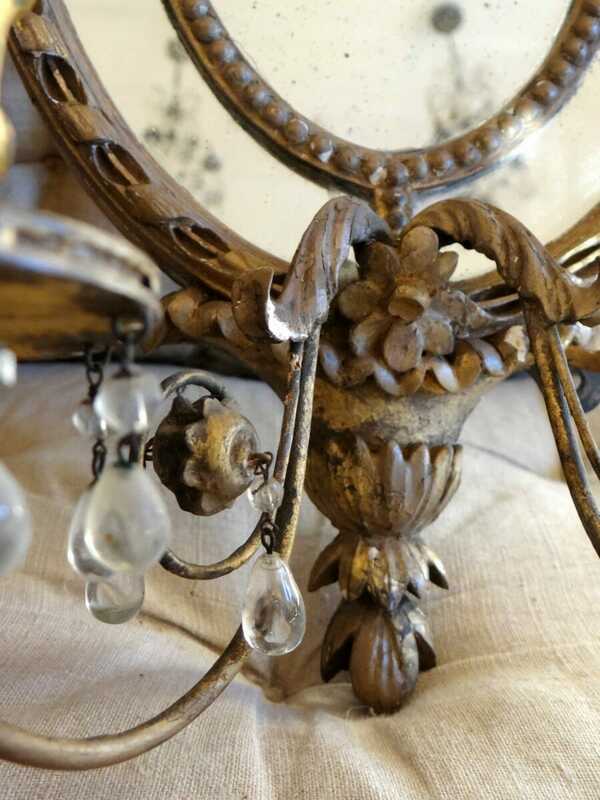 Candle arms with crystal drops. 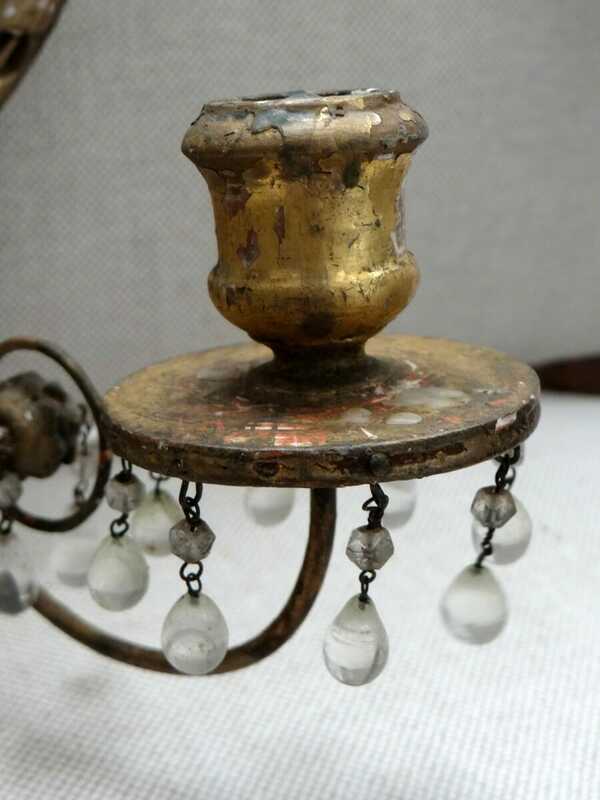 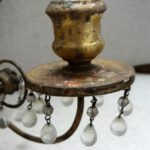 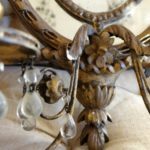 A girandole is a branched support for candles or other lights, which either stands on a surface or projects from a wall.